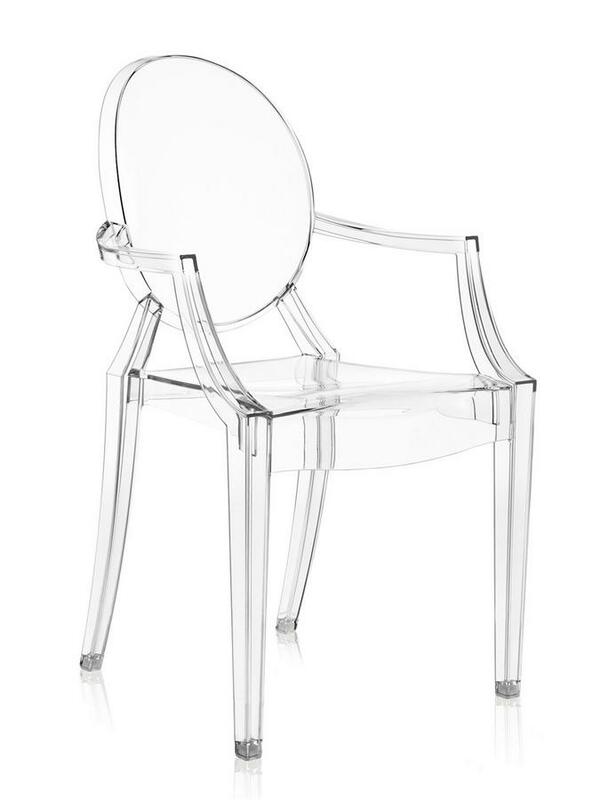 Inspired by the Louis XV style, the Louis Ghost was created in 2004 by Philippe Starck for the Italian manufacturer Kartell. 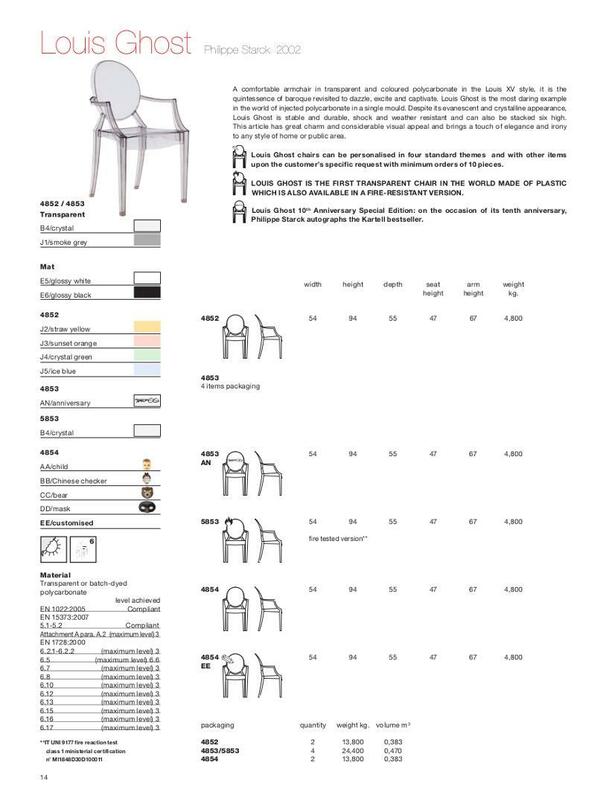 Presenting an unconventional, yet somehow very familiar and accessible, combination of baroque style and innovative, industrial production, the Louis Ghost chair is made of single piece injection moulded plastic and thus in-spite of its delicate, transparent, appearance extremely weather-resistant and stable. 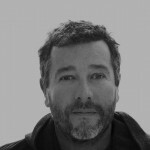 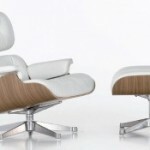 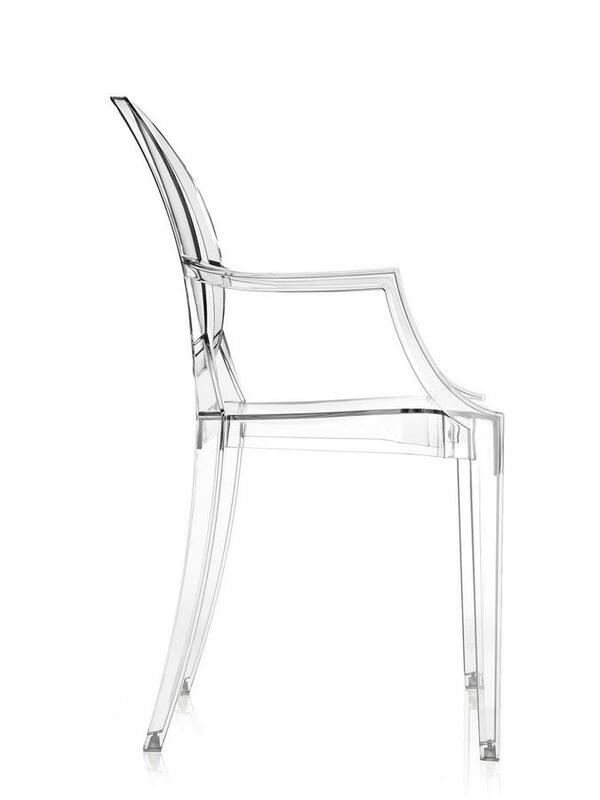 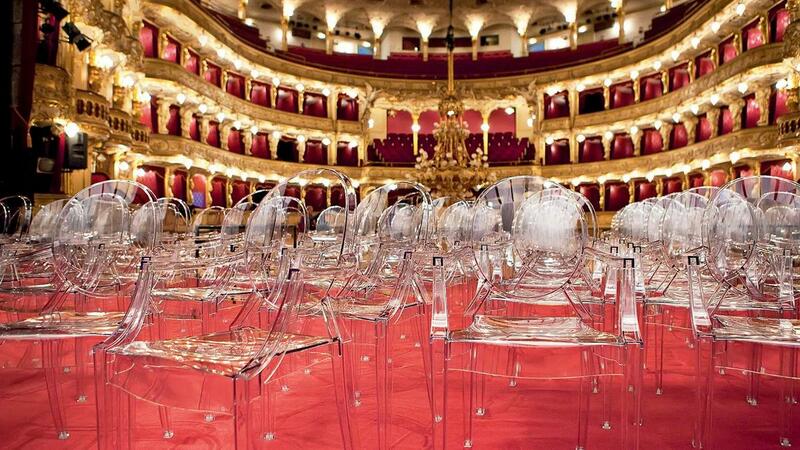 One of the most popular, and audacious, chair designs of recent times is the chair Louis Ghost by Philippe Starck. 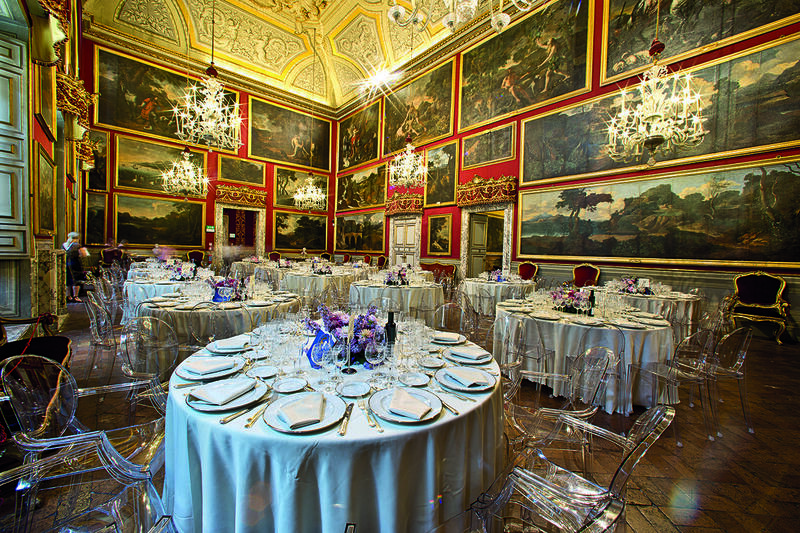 The designer drew inspiration for the unusual design from the classic Louis XV style, and thus creating an exceptional, modern homage to the Baroque style. 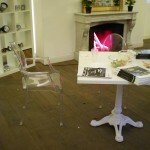 And a work as reduced as the inspiration is overblown. 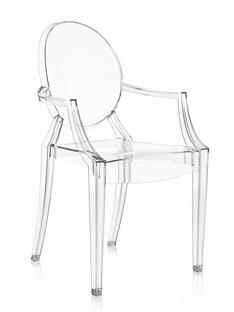 Produced in polycarbonate as a single piece injection moulded object the Kartell Louis Ghost Chair is, and despite its delicate, transparent appearance, a very robust and stable object which is just as applicable for use as garden and balcony furniture a sit is a graceful addition to any dining area - private or commercial. 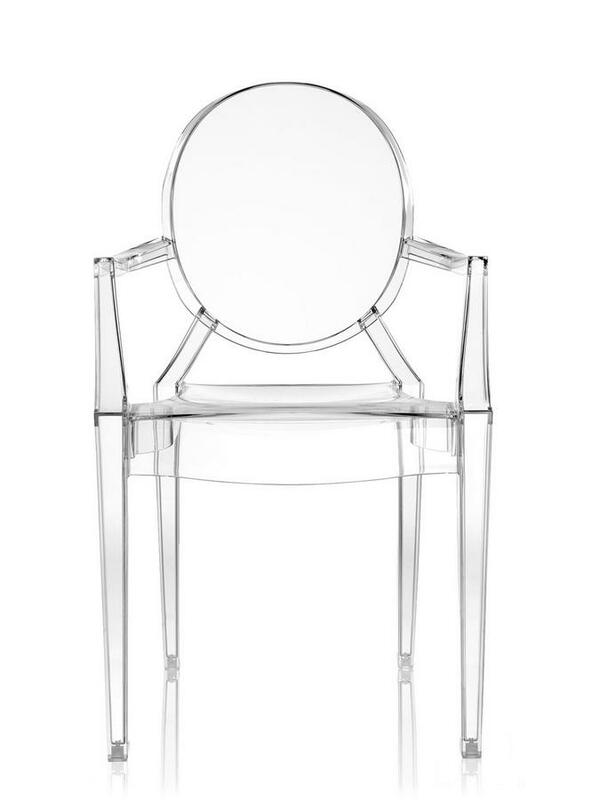 Available in a range of colours, Philippe Starck's design achieved an international acclaim in transparent version, a version which appears to merge with its background and thus can be used in any space without adding uneasy volume..The Ghost chairs collection also includes the Victoria Ghost Chair and the Charles Ghost Stool.